This product review focuses on the supplement Mentat DS. This product contains numerous ingredients that enhance memory, increase mental quotient, and improve attention. It can also treat neurological diseases by reducing monoamine oxidase and tribulin levels. You will learn more about Mentat DS as you continue reading this article. The key ingredients include Bacopa monnieri, Centella asiatica, and Withania somnifera. Bacopa monnier, also known as Brahmi (Thyme-Leaved Gratiola), helps to maintain cognitive function. It also improves learning and memory. Brahmi can also increase calmness and treat a number of mental diseases. Centella asiatica, also called Mandukaparni (Indian Pennywort), has antiepileptic properties. It enhances amino acid imbalance and plays a major role in the treatment of depression. Mandukaparni can also prevent cognitive impairment. Withania somnifera (Ashvagandha or Winter Cherry) can stabilize moods in people with depression and anxiety. It can also treat stress. The manufacturer of Mentat DS does not provide any dosage for users. However, users are advised to consult their doctors to get the appropriate prescription depending on the users’ conditions. The product is available in the form of syrup. The manufacturer claims that there are no known side effects associated with the product as long as users take it according to the prescription of physicians. This is an encouraging feature of the products as users are sure that the product will not have other effects besides fulfilling its functions. However, users have to adhere to the prescribed dosage. The manufacturer has not provided any information about the price of the product. However, a thorough search on the internet for the price of Mentat DS syrup has revealed that one bottle will cost you $54.64. This seems to be costly, but it is probably an indication of quality. There is not satisfaction guarantee associated with this product. Moreover, there is no evidence of customer reviews about this product. The absence of a money-back guarantee and customer reviews may raise concerns about the ability of this product to meet the alleged purposes. Therefore, some consumers may be reluctant to purchase this product. 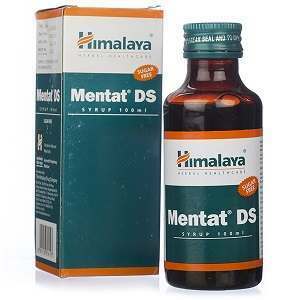 Mentat DS is an ideal product for those who want to improve their memory, mental quotient, as well as concentration. People with neurological diseases can also take advantage of this product to treat their conditions. The positive features of this product include a strong formulation consisting of numerous ingredients and the lack of any known side effects as long as users follow the doctor’s prescription. However, it is somewhat concerning that the manufacturer does not offer a satisfaction guarantee. Potential buyers may want to know what happens if the product fails to meet their expectations. Additionally, there are no customer reviews to prove that users are satisfied with the product. Henry Costa	reviewed Mentat DS	on June 14th	 and gave it a rating of 2.5.